High speed printing at speeds of up to 32 pages per minute (A4); High quality reproduction up to 2400 x 1200 dpi resolution; Print Email attachments in PDF*2, JPEG or TIFF; Standard automatic duplex printing to reduce paper consumption; GDI / PCL5e / PCL6 Compatible. High volume copying with high speed output up to 32 pages per minute, 50-page automatic document feeder and 520-sheet capacity input tray; Quick ID copy: Copies both sides of a small ID or Business card onto a single sheet; Easy Repeat copy: Copies a small size original and prints it repeatedly on a sheet; Separate N-in-1 copy: Separates each page from a 2 or 4-in-1 document and prints each page onto individual sheets. Colour scanning from document flatbed or ADF; High resolution scanning up to 600 x 2400 dpi (Enhanced); Scan and send documents via Email or store them on an FTP server; High speed network colour scanning capability. 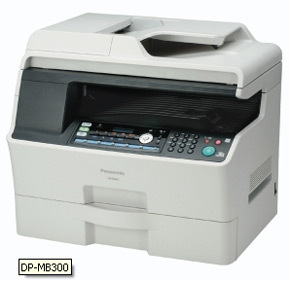 Efficient fax transmission at speeds up to 33.6 kbps; Preview received faxes without printing through a web browser; Built-in document memory up to 450 pages. Standard 10Base-T / 100Base-TX network interface; Standard USB2.0 interface.